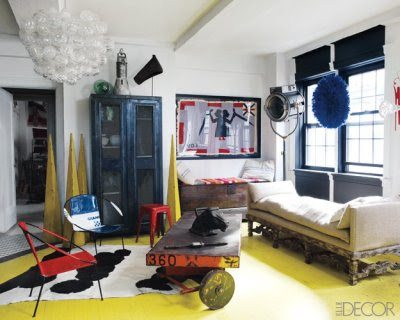 Liz Sherman's apartment is featured in the latest issue of Elle Decor. 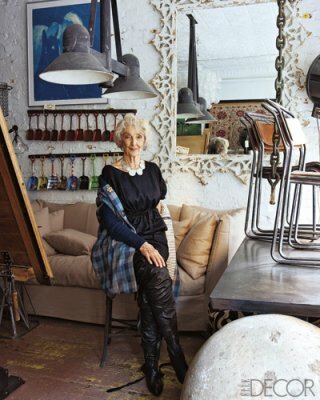 The antiques dealer and owner of a furniture store in NY, Sherman who is in her 70s is quoted talking about the furniture and interesting objects in her life: “If I have to explain it, you’ve lost me,” Sherman admits with a laugh. 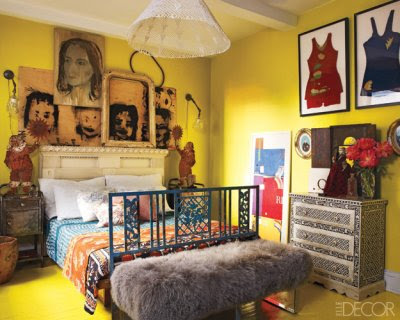 “I don’t decorate. 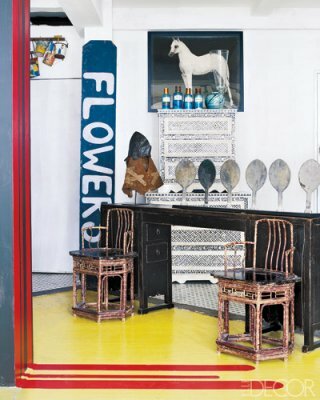 I see objects and furniture as shapes, lines, and forms,” she says. I love that she surrounds herself with things she loves or finds interesting - and that there is plenty of fabulous art on her walls. She is definitely a testament to great interesting style being ageless.